My prenatal appointment went well this morning. The baby's heartbeat was between 144 and 157, and I'm measuring 5 fingers above my pubic bone now. By 20 weeks, my uterus will have grown to reach my belly button. We discussed my insomnia, and my midwives recommended drinking herbal teas before bed w/ warm milk, listening to calming music, taking baths, and meditation. I think I'll start with the tea and go from there. Landon is also going to start getting up with Samuel during the night so I don't have to worry about getting back to sleep so much. 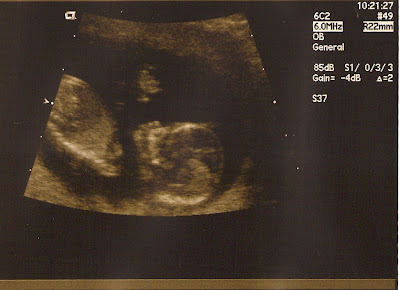 Anyway, everything is going well with the pregnancy, and I'm looking forward to the first kicks in the next few weeks. I've already felt small flutters from time to time, but I'm looking forward to feeling the baby move on a regular basis throughout the day.